If you love owls then you are in luck. 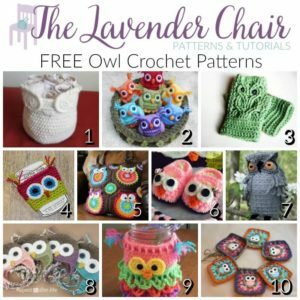 Here are 10 free owl crochet patterns! This crochet Owl Basket is a perfect pattern to hold your bathroom towels or maybe even a few toilet paper rolls. 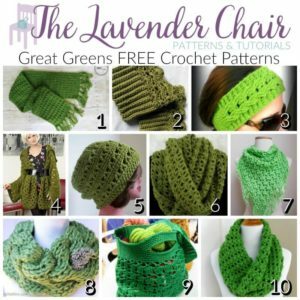 This pattern is made using super bulky yarn and a K crochet hook. Look at these cuties! These Nesting Rainbow Owls are just too cute, just look at them in their little nest. The pattern for these owls can be made using any weight yarn just as long as you change the crochet hook to correspond properly. This is on my to-do list. 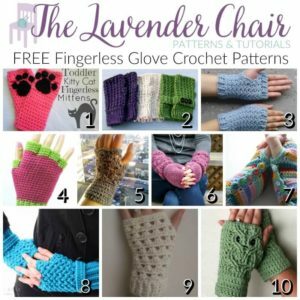 These crochet Owl Mitts by Erika Ward are the fastest fingerless gloves pattern I have made. They work up so quick and easy and are so elegant. These fingerless gloves are made using an H 5.00mm hook and some worsted weight yarn. Imagine this cute cozy on your morning coffee! The bright colors will surely wake you up in the morning and put you in a good mood. This Owl Cozy pattern by Black Cat Stitches is made using a G 4.00mm crochet hook and some worsted weight yarn. It is a great project to use up all that scrap yarn you can’t seem to get rid of. Though in a different language, this crochet purse pattern has a very detailed and easy to follow picture tutorial. I am unsure of the hook size used, but I’m sure you can use whatever hook size you feel most comfortable with. These little baby booties are just too cute! These Crochet Baby Owl Booties by JC Designs are made using a 4.00mm crochet hook and worsted weight yarn. They are made using a quick 8 rounds. They are a must make!!! This Hooter The Owl by Nicky Epstein pattern is the best amigurumi owl I have seen. It looks so realistic, as far as crocheted owls go. This owl is made using a H 5.00mm crochet hook and a skein of cascade 220 wool. This Crochet Owl Hat by Repeat Crafter Me is written in sizes newborn to adult. This pattern is made using an H 5.00mm Hook and worsted weight yarn. This owl hat would make a great photo prop for a newborn. This is just too cute and so vibrant. This Bonbon owl by Heidi Yates is a beautiful way to decoratively cover a mason jar. It is made using a G 4.00mm hook and DK yarn. This project is a great way to utilize Lion Brands Bon Bons. I’d love to make a baby blanket using Repeat Crafter Me’s Owl Granny Square Pattern. This project is another great project to use up your stash yarn. 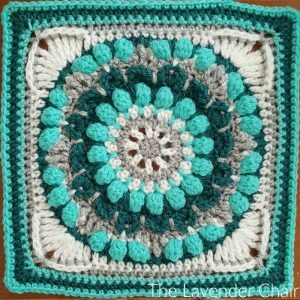 Using a G 4.25mm hook and some worsted weight yarn in various colors you too can create these granny squares.